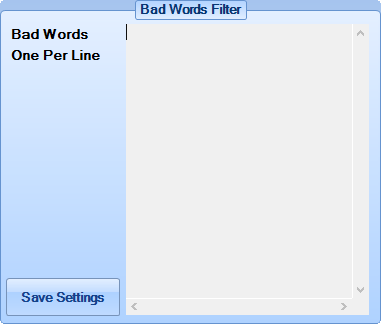 This tab can be used to limit posting based on some bad word criteria and also to add a list of targets to be used in posting. This text box will take a list of domains that you do not want to post to, simply add one domain per line to block any posting to those domains. This can be used to prevent posting to sites that will never accept any links and as such prevent wasting time. Each domain does not need to be a full domain but be aware that the shorter the domain the higher the chance of it blocking unexpected targets. This is used for adding lists of targets that you want to promote a specific profile (or all profiles) to. The list of targets must be in a .txt file with each target being on its own line and obviously the targets need to be based on a supported platform. 1) Click "Browse" button and select the .txt file containing the targets you wish to add. 2) Select your desired profile from the Add To Profile[b] control, or click [b]All Profiles if you want to add the targets to all profiles. 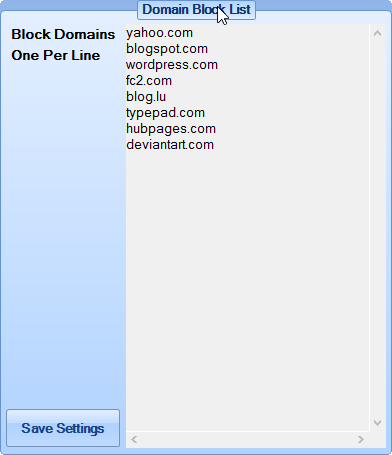 Similar to the domain block list this prevents posting based on whether or not a certain word appears on the page. 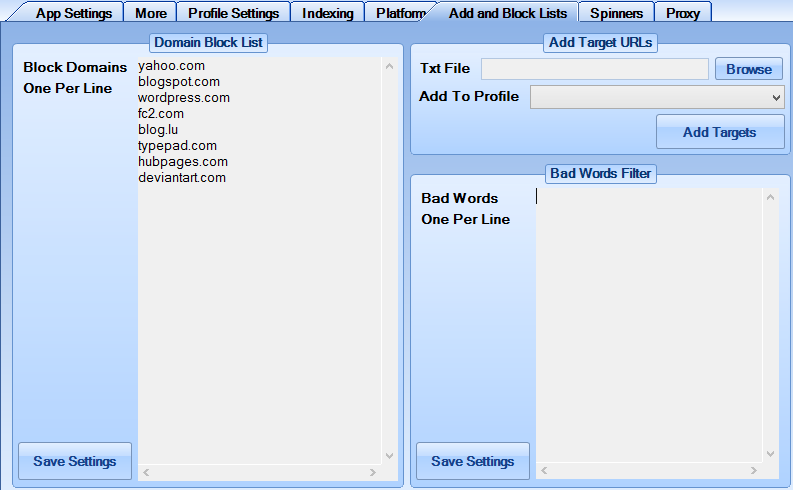 As with the Domain Block List each bad word should be placed on its own line.